Yep, it’s that time of year again. Sunshine, lemon lime, dewdrops, and lollipops! Spring time is the perfect backdrop for exciting new pictures! 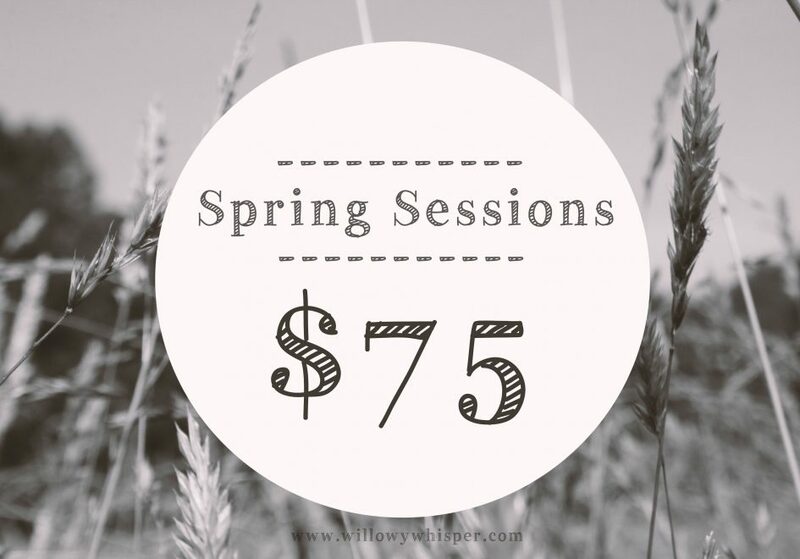 Willowy Whisper’s Photography is offering sessions for only $75.00.